December is the second month of kerala tourism season which starts on the month of November. Virtually kerala tourism industry has got a 365 days tourism season. During the tourism season many travelers from around the world visits kerala unlike other months of the year. During the off-season kerala is mostly visited by people from north india and other south indian states. International travelers usually visits kerala as part of their south india or india tour package. Foreign travelers used to visit destinations in Goa, Karnataka, tamilnadu including kerala. But it is a fact that these travelers spends most of their days in their travel package in kerala. Kerala is most sought after travel destination for international as well as national visitors. With the recent dip in value of rupee compared to dollar travelers can enjoy more days and more facilities in kerala at a lesser cost. In the previous month the tourism industry in kerala was little bit sluggish because of the ongoing mullaperiyaar issue. As the mullaperiyaar issue was highlighted by the new media people have either postponed their travel to kerala. This month the situation has changed people has started traveling to all destinations for their kerala tour. Last week i have visited some of the backwater and beach destinations in kerala and found that travelers, national as well as international visitors were heavily flowing in to enjoy their holidays to all destinations especially the beach destinations like kovalam, varkala and backwater destinations like alleppey and kumarakom. Christmas and New Year celebrations falls during this month so travelers visits these destinations to enjoy this once in a year and unique festivals. Just like previous years hotel and resorts for Christmas eve and new year eve is almost fully booked. If you are planning to travel to travel to kerala during this festival season then book your kerala tour today itself. 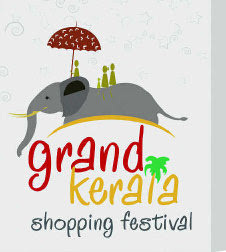 The latest edition of Grand Kerala Shopping Festival (GKSF) has started on the 1st of December 2011. I think this is the 5th edition of shopping festival being celebrated in the state of kerala. In the past several years the participation of businesses and people in the shopping festival has seen tremendous and steady increase. The month of December is the appropriate time to celebration shopping festival in kerala as it is tourism season in kerala. The tourism season in kerala starts from the month of November every and extends to the month of march. During these 5 months people from other parts of india and from around the globe usually come to kerala for kerala tours. It is a big time for business establishments to generate more revenue from their businesses. This year GKSF has witnessed record participation from business establishments like never before. With the recent dip in the value of rupee when compared to dollar, people who are visiting kerala from abroad can get quality services and add on services at a lower cost. The value of rupee when compared to previous years is much lower which in turn helps tourism industry and export businesses in India. It is expected that, considering the economic situation of the world, more foreign nationals will be visiting india and kerala during this tourism season. As more foreign nationals visits kerala it will benefit the tourism industry as well as other businesses in the state.